Discussion in 'Supplier' started by HealthCabin, 14 Sep 2018. 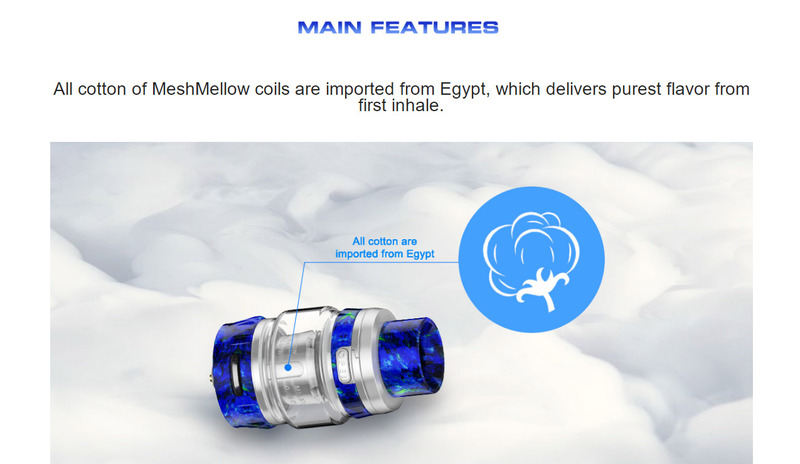 The cotton of coils is from Egypt, Geekvape Alpha Sub Ohm Tank Atomizer with resin application and adopts resin material looks fashionable and features special design. Geekvape Alpha Tank utilizes two different MeshMellow coil that can utilize the included 0.15 ohm mesh coil with an output range 60W to 110W and the best for 75W to 95W. An additional 0.4 ohm coil head is also included with an output range of 50 to 80W and a recommended range of 60 to 70W. Both of them can taste better and last longer with the purest flavor. The design of button press top, bottom airflow system and filling system are convenience refilling and bring present an astounding vaping experience.